The Morgan family had arrived in Wellington, New Zealand in 1842 on the ‘Birman’ and then moved out to farm in the Takapau Valley, Tawa Flat. Edward Stanley and his siblings were born in the Takapau Valley and later attended the Tawa Flats School. The men of 9th Contingent, including Edward and his brother Henry, sailed back to New Zealand leaving South Africa in July 1902. Also return to New Zealand was the 10th Contingent and Edward and Henry’s younger brother SA8840 Trooper David Gibson Morgan. Trooper Edward Morgan was discharged ‘on completion of service’ on 26th August 1902 and was awarded the Kings South Africa Medal with clasps, 1902 and Transvaal. The discharge paper noted that Edward’s character was good and that he was returning to Tawa Flat. Battle of the Somme on the 12th September 1916. 4th December 1916. The Pioneers had been continuously working in cold, wet and extremely muddy conditions on the Western Front. 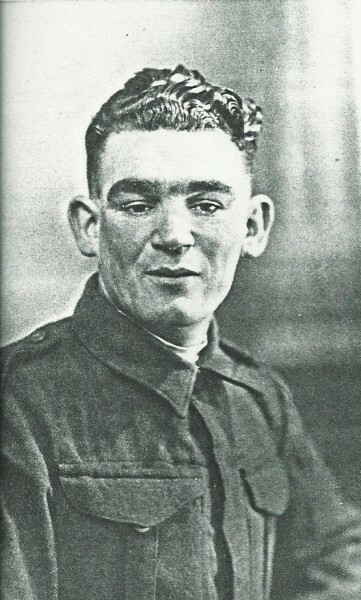 Private Morgan was one of many men evacuated from the front with chest complaints. Boulogne where he was admitted to the 3rd Canadian General Hospital. Private Morgan was stabilised, assessed and on the 17th December 1916, sent by hospital ship to England. Private Morgan was admitted to the No 2 NZ General Hospital, Walton on Thames where he remained until April 1917 when he was sent to the NZ Convalescent Hospital at Hornchurch. In Hornchurch Private Morgan was assessed by a medical board where they agreed he was suffering from Broncho-Pneumonia and Chronic Bronchitis. It is noted in the report that Private Morgan had suffered bronchitis while serving in South Africa War and suffered attacks every winter. The decision of the medical board that was that Private Morgan was permanently unfit for service and should be returned to New Zealand and discharged. For his South Africa War service Edward was awarded the Kings South Africa Medal with date clasp 1902 and provincial clasp Traansvaal, for his World War One service the British War Medal and Victory Medal.